Our price lists below will give you a basic idea of our costs. These can be tailored to suit your needs. We are about building bridges and opening up the line of communication between the client and us. Includes: Basic Contact page plugin. Some business owners know that starting a business is going to be a risk. Although nothing is ever achieved without risk. That’s why we have started a try before you buy attitude with our websites. You can get us to build a 6 page website on one of our amazing templates with your images and wording. Our feature-rich theme, is a fully responsive theme, that will automatically adapt to the screen size it’s viewed on, whether that’s a smart phone, a tablet or a laptop. In fact, it will always look its best on any screen width from 320 pixels to over 2500. We do everything for you. All websites are built on a professional theme and page builder which is extremely easy to manage. The templates have a front end manager for editing and adding pages. We charge $39.95 per month to get you started, with no penalties if you decide to drop out completely after an initial period of 6 months or you can choose our Business/eCommerce plan for just $79.95 per month. We buy and own the domain name for a period of 24 months. You will benefit if you decide to stay for at least 24 months, where the website and domain name will be transferred to you without any extra fees apart from the hosting and domain name transfer & renewal fees. Then it's yours. 24/7 web hosting on high performance secure servers included – 1GB (Value $15.00 per month) $180 per year. 24/7 web hosting on high performance secure servers included – 5GB (Value $15.00 per month) $180 per year. 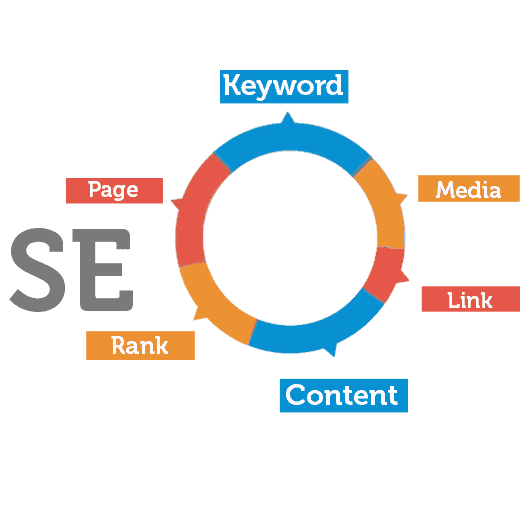 SEO means getting traffic from the “free” or “organic,” search results on search engines. Search engines like Google and Bing and other minor search engines will call up search results based on what a searcher types in. To be ranked on the first page will depend on what Google considers to have the best user experience (No. 1) and the most relevant content to what the enquirer is looking for. Don't get talked into 6 month packages that put lots of paid backlinks into your site which disappear when you stop paying. Your site should work for itself. That's why we have a "One-time" payment of $495 to get your site up on Page 1. We can show you examples of how what we do works. We can organise 24/7 web hosting on high performance secure servers for you. Cost $220 per year for Basic & Standard website, $240 for Business & Premium websites. The cost of hosting will depend on your needs. We use the WordPress Platform with your choice of template. Template fees may be charged. These prices includes standard site pages that are editable plus the addition of an online shopping cart using PayPal or Stripe for credit card transactions. It is preferable that you have professional images of your products for optimal sales. All images must be supplied web ready in the correct sizes. Up to 10 products will be added. Additional products can be added at the cost of $5 per product. We can also instruct you how to add your own products, if they change continually. Each package includes a certain number of pages, if you would like to have an extra page or more pages, then we charge $65 per page. Sometimes if might be more economical to upgrade to a higher package. We design websites and build pages with your content. Content that you have written and supplied. Our prices do not include writing wording for your website. You must supply the content to go on your site. For a 6 page website, the average charge will be $350 for us to write wording. The amount of pages will determine the cost for content writing. All website should be protected with an SSL certificate regardless if you are taking payments on your website. This will guarantee that your site is not going to be intercepted by an unknown computer. If hosting with AAA Web Hosting, your certificate will be Free of Charge. You will need to decide on the size of the image when it is clicked on in the lightbox. No thumbnails are required. We may have to purchase stock images on your behalf if you don’t have enough images for your website. We charge $2 per image for optimisation and resizing. If you would like AAA Web Design to regularly update your WordPress, plugins and themes, please contact us. We will keep your site up to date so you won’t have to worry about whether your software is becoming outdated. We will regularly check to see if there have been upgrades. $35 per year. Your site will be regularly backed up when hosting with AAA Web Design & Hosting. If your website is hosted by another company, please check that they are performing regular backups. If you are not sure exactly what you are looking for and just want to start of with a small website and then let it grow as your business grows, we can start you off with something easy to manage and then when you are ready to make additions, we can add pages or images or even an E-commerce page for you if you decide to start selling online. Charges will apply. We guarantee that your website will be completed within 7 days if you have all of your content and images ready. All websites must be completed within two weeks of start date and total payment will then be required. AAA Web Designs will not keep a website on hold for longer than one month. Deposits will not be refunded if client does not send content and complete their site in this time. After your website is completed and the two week period for free changes has expired, you may still like to make some, we can make them for you. We charge $65 an hour with a one hour minimum. Just email the changes that you would like made or optimised images that are to added as a jpg. Any extra pages will be charged at $65 per page.